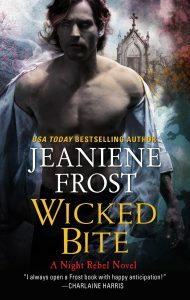 SPOILER WARNING: If you haven’t read SHADES OF WICKED (book one) yet and you read the below, you WILL get spoiled on major plot points, including the ending. So, if you hate spoilers, don’t read this before you read SHADES OF WICKED. That aside, here’s my standard disclaimer about all pre-published excerpts: it hasn’t been revised or copyedited, so you will probably find spelling errors, grammar errors, and missing/incorrect words. It also might change from the final, published version for all the same reasons. Disclaimers and spoiler-warnings aside, happy reading :). His best mate, Crispin, glanced around as if making sure Vlad hadn’t been close enough to hear him. Ian didn’t care. Vlad owed him for…something. Ian couldn’t remember what, but he knew it was significant. Sod his host’s temper tantrum if he overhead Ian calling him by his most-hated nickname of Dracula. Attached state. Ian’s lips curled. Crispin still couldn’t bring himself to say “marriage.” Every fiber of Ian’s being should reject that word, too. Instead, he was driven by a near-crazed need to find his runaway bride. True, he couldn’t remember why he’d married Veritas, or the equally stunning reason why she’d left him, then lied about their marriage after pulling off such an incredible feat. His memories of her were fragmented. His feelings weren’t. They burned, making everything except finding her irrelevant. “Yeah, if that lamb had a werewolf curse,” Leila murmured. Then pity filled her eyes. Ian stiffened, though his grin remained in place. Whatever secret Leila knew, it was bad. Phantom pains stabbed the back of Ian’s head. He managed not to flinch. He’d shared much of what he remembered about the past month with Crispin, but not this. Crispin looked at Leila. Her expression hardened into a perfect mask of “you don’t stand a chance.” He sighed in defeat, then followed Vlad as the Impaler, after a final glance at his wife, also left the room. Leila shut the doors, cutting off whatever Crispin’s response was. Ian waited until he was sure Crispin and Vlad were far enough away, then said “Spill,” to the lovely brunette. “What’s the last thing you remember from the time you spent helping me and Vlad?” Leila asked him. “This isn’t the kind of news you relay by text or over the phone,” Leila said softly. She kept speaking, reiterating apologies, regrets and other platitudes he paid no attention to. He was too stunned by sold your soul. He would’ve sworn she was lying, except his vampire sire, Mencheres, was one of the few people in the world he would have sold his soul to save. And had, if Leila were to be believed. This was why his blood tasted wrong. He hadn’t told Crispin this, either, but since he’d woken up in that whorehouse, his blood had been altered. He’d hoped there was another reason aside from demon brands. Apparently not. “How does my wanting to kill your husband fit into any of this?” His tone was calm despite the storm raging inside him. She didn’t fall for his faux zen. She edged away while a sparking line of white extended from her right hand; a reminder of the voltage running all through her body. The lights in the room also briefly dimmed as she pulled power from that, too. After all he’d overcome, he’d been taken down by a simple trick involving a glamour spell? Gales of harsh laughter broke from him. Leila backed away, her electric whip growing until it coiled at her feet. “And Vlad?” she asked in a cautious tone. Ian jerked away from her pity. Leila gasped, then her eyes narrowed and she tried to run her right hand over every inch of his skin that wasn’t covered by his clothes. “Stop that.” What sort of pity-pawing was this? Could he have somehow gotten out of the soul deal? Ian let her go and unzipped his trousers. Leila knelt down, whisking the hem of his shirt out of her way. At the same moment, the drawing room doors opened, revealing Vlad and Crispin. Leila backed away, flustered. Crispin strode over, frowning as he bent down. “No brand of any kind,” he said after a moment. “What you’d expect – more power,” Ian said, giving Leila a warning glance. He couldn’t have word of his real reason reaching Mencheres. His sire didn’t deserve that pain. Ian drew his shirt off and stepped away from his crumpled trousers. Then he couldn’t help himself – he winked at Vlad over Leila’s shoulder as she began to run her right hand over his naked body. Vlad glared at him, but not a hint of fire or smoke escaped him. Must be secure in their relationship. Impossible. “I’m more than two hundred and fifty years old,” Ian reminded her. Those phantom pains stabbed him in the head again. For a terrifying moment, he felt swallowed by darkness. Then his vision returned and he saw Crispin glance away as if he knew something he didn’t want to admit. “I might have left a few pieces out,” Crispin began. “She said it was safer if you didn’t know,” Crispin hedged. Ian pushed Crispin away. “Your psychic abilities include finding people in the present through essence trails, do they not?” he asked Leila in a clipped tone. Of course not. With demons after her, Veritas had cloaked herself from every tracing spell imaginable. He hadn’t married a fool. He teleported out of there without another word, leaving Crispin and the rest of them behind. Sod his mate’s attempt to protect him. Sod Veritas’s fear for his safety, too. He wasn’t about to lose her by playing it safe. Don’t go! her pained shout rang again in my mind. I dropped out of the dark Egyptian sky, landing near an overloaded Jeep that stood out like a neon sign against the sea of sand around it. Unlike the famous section of the Valley of the Kings, this stretch on the western edge wasn’t popular with archeologists, tourists, or anyone except criminals. Lucky for me, my job was hunting criminals. No one was inside the Jeep. I walked around to the back, seeing a small stone slab half pulled back from a hole in the ground. Ah, a hidden tomb. Two distinct voices came from it as well as lots of odd, swishing sounds. Grave robbers. I hated grave robbers. I pulled out a sharp silver knife and a double-pronged bident made of demon bone. Now, I was armed to fight two out of the three supernatural species that existed. Right before I jumped into the hole, I lit my gaze up with vampire green. Two men looked up at me in surprise. At first glance, they were normal middle-Eastern men, but then their eyes turned glowing red. Demons. And the ground around them slithered in every direction. Snakes. I landed on the nearest demon, knocking him down while ramming both ends of my bone weapon through his eyes. His eyes burst into flames as death cut his scream short. I yanked the bident out and immediately flew up, leaving the other demon to smack into the wall instead of me. Before I could stab his eyes out, too, he teleported away. He appeared on my right, fist flying. I ducked under the punch, then pain exploded in my head from a blow to my left. Damn demons and their ability to teleport. “You’ll pay for murdering Malfeous,” he snarled before flinging several cobras at me. I fought my urge to shake them off me. Their bites wouldn’t kill me, but he could. I kept both weapons at the ready, spinning in quick circles so he couldn’t sneak up on me again. He reappeared in front of me, swinging one of the tomb’s ancient axes. I threw myself backward, but my throat still burned and blood splashed his face from the deep slice. When I hit the ground, the impact made new pain erupt in the back of my head. Good. More pain meant I wasn’t dead yet. I hurled my silver knife into his open mouth, pinning his head to the wall. Then I flew at him, shoving the bone bident into his eyes until I felt the tips hit the wall. His eyes exploded, smoke and blood pouring out. The sulfur scent choked me, but I shoved the bident in harder. Relief overtook battle exhilaration as he began to shrink into the skeletal state of true death. I yanked my weapons out and whirled, ready in case any other demons teleported in. After fifteen or twenty minutes, I tucked the silver knife into my belt. That wouldn’t kill demons. Only bone of their own brethren would, and now, I had plenty more to make new weapons with. I tore the arms off the two demons, throwing them out of the hole above me. Then, I began to explore the tomb. Time and dust had faded the paintings and hieroglyphs on the walls, but I saw the falcon-headed god Horus in one scene and the green-skinned god Osiris in another. There were more paintings showing scenes from the life of the deceased. There should have been various personal effects, statues, treasures and other ceremonial items, too, but the tomb’s inner hall had been stripped. That explained the overloaded Jeep. The seals on the doors of the inner chamber were broken, too. I went inside, angry but not surprised that both artfully painted coffins containing the mummy had been breached. Only the clay jars containing the mummy’s internal organs were left. Then I smelled something unexpected. Fresh blood. I nudged a mass of cobras aside to reveal the body of a young woman opposite the sarcophagus. Her skin was the same golden bronze as mine and she had long black hair that covered her face. When I brushed it away, I swore. I’d been tracking her since I hacked into all the online medical records I could, searching for a very specific type of psychosis: people who claimed they came from another time, and who had no modern records to prove otherwise. I winced as I looked at her body. Large gashes covered her torso, but the wounds weren’t sloppy. They were precise, avoiding vital organs or arteries in order to deny her a quick death. Beneath the blood, I saw markings inked onto her body. I rolled her over, revealing more markings beneath her. As soon as I did, dark magic crawled across my skin with the unsettling sensation of dozens of spiders. A nearby cobra suddenly reared up and struck me in the face. Annoyed, I flung it aside, only to have another one bite my leg. Enough! I grabbed as many as I could and flew out of the tomb. Once outside, I let them go. It took several more trips before I was through, but I was glad to get rid of them. They must have been brought in to add to the poor woman’s terror. Fear was a powerful ingredient in dark magic, and someone had performed a horrific ritual on the slain woman. I went back to her body, using my clothes to clean her blood off the symbols. I recognized a few, but I didn’t know the others, and I knew a lot of magic. I took out my mobile, snapping pictures of them. Then, I bent down next to her, closed my eyes, and released the hold I had on my deepest senses. The magic used to perform the ritual hit me first, choking me with a sickeningly familiar taste. Dagon. The smell of her blood, fear, and the sulfur stink from all demons had been too strong for me to scent my worst enemy before, but I could taste Dagon’s magic now, and it was all I could do not to vomit. I swallowed hard and pushed past it, searching to see if she had other magic traces within her. Death had left almost nothing behind, but then Dagon’s magic soured my senses again, though far fainter this time. She’d had some of Dagon’s power deep within her. I knew only one way that could have happened. She’d been telling the mental health facility she’d escaped from the truth. She wasn’t from this current time. She was from long before it. Maybe that’s why she’d been spotted running into this dismal part of the desert. It was a wasteland now, but a few millennia ago, it had been part of a prosperous city, and when people were frightened, they tended to run home. I sat back with a frustrated sigh. Had Dagon murdered her because she was one of the newly-resurrected people that had been freed when the souls Dagon hoarded inside himself had been released? Dagon was spiteful, but there was one thing demons valued even more than payback. Power. But Dagon had gotten away. The other demons with him almost had, too. If I hadn’t had a birds-eye view of the Jeep while flying over the desert tonight, I never would have found her, and I’d been tasked with finding all of the newly-resurrected souls…except the one I most wanted to see. Pain rolled through me, familiar and relentless. It burned until I looked at the slain woman with the darkest kind of envy. She was now out of reach of the pain I couldn’t escape from. I was actually glad I was now as mortal as any other vampire. It meant this awful ache would end when a lucky stab through my heart with silver finally killed me. But before that day came, I had a vow to fulfill. I hadn’t been able to save this woman, but I wouldn’t leave her where she’d been murdered. I picked her up and flew her out of the tomb. Then I dug a new grave using my hands since I’d brought weapons with me, not a shovel. Still, with the soft sand and my supernatural strength, it didn’t take long. Once she was properly buried, I said a prayer asking the gods to show her mercy. Then I stared at her makeshift grave, that aching part of me wondering if I’d soon be like her: dead and rotting in an unmarked grave somewhere. With a hard swipe, I dashed away the tears that snuck down my cheeks. I couldn’t let myself dwell on Ian. If I did, I’d run back to him no matter that my presence would draw all the demons after me right to his side. I’d already gotten Ian killed once. I wouldn’t let that happen again. Yes, I might end up dead and in an unmarked grave before this was over, but there were benefits to being over four and half thousand years old. If I didn’t explode the way I normally did when I was killed, I was still so old that my body would probably turn straight to dust. No rotting in a grave for me. As the modern saying went, I just had to look on the bright side. I spent the night in the desert on the off chance that Dagon might come back to the tomb. He couldn’t teleport anymore – my father had removed that ability from him – so Dagon would have to walk up or drive up. He did neither. In the end, I drove the Jeep far away from the tomb and left an anonymous call about it to the Egyptian Ministry of Antiquities. They’d make sure the relics were properly cared for. After dawn ensured that no demons would be around since they couldn’t tolerate the sun, I went back to my hotel. I opened my door and was immediately mobbed by a flying gray bundle. I caught Silver, hugging the Simargyl to my chest. He made happy yipping sounds despite him being a supernatural creation instead of a canine. Still, Silver resembled a dog, if you didn’t look close enough to realize he was covered in downy feathers instead of fur. And, of course, there was the very un-doglike aspect of his wings. “I missed you, too,” I told Silver, giving him another hug before setting him on the floor. Silver looked behind me at the closed door, his wings wiggling with hope. “No,” I told him, fighting the new crack in my voice. Seeing Silver still waiting for Ian to come through the door was another kick to my heart. “No,” I said again, more firmly this time. Silver’s wings drooped as he walked away, giving the door a last glance before he resigned himself to it staying closed. “Hungry?” I asked to distract Silver. It worked. He followed me, wings wiggling happily again. I ordered room service as I took off my ripped, bloody clothes and wadded them into a plastic bag. I’d throw them away where they wouldn’t be found later. Then, I put on a robe and waited. Silver wasn’t the only one who was hungry. Twenty minutes later, Silver was devouring his plate of sautéed vegetables and I was wiping a stray drop of blood from my mouth. The room service attendant had no memory of feeding me, of course. He’d only remember that I was a good tipper. I was on my way to the shower when my mobile chimed, indicating a new text. I ignored it, anxious to get the stench of death, blood and dark magic off me. My phone chimed a few more times. I kept heading to the bathroom. I had taken a leave of absence from my job as Law Guardian, so it couldn’t be work related, and most of my closest friends were dead. If I were looking on the bright side of being a currently-on-leave workaholic who’d outlived nearly everyone I cared about, I’d say that meant I could get back to whoever was texting me when I was damn good and ready. I showered, taking my time. After that, I dropped my glamour, losing the blue-eyed, petite blonde appearance I normally wore. When I looked into the mirror, I now saw my real image of a muscled, curvy woman in her mid-twenties with silver eyes and long, almost white hair streaked through with gold and blue. Then I dried my hair, put on a robe and went back into the other room. I’d log in a few more hours of online research trying to find the next resurrected soul before I allowed myself to sleep. This was my life now. It might be emotionally empty, but at least it was productive. Silver was on the bed, his gaze following me with drowsy expectation. He was waiting for me to cuddle him before he fell asleep. Cuddling Silver would be the highlight of my day, but first, I picked up my mobile. Nine unread texts. My stomach clenched. Only Ian left that many in a row, though I never read them. Ian’s memories of me had been wiped from his mind, so I surmised that he kept calling and texting because someone had told him we were married. He needn’t worry. I was getting the few people who’d witnessed the ceremony to “forget” it and thus nullify it. Until then, I didn’t need to torture myself by listening to Ian’s voicemails or reading his texts, though I’d accidentally caught “I’m warning you” from him yesterday before I hit delete. He had nothing to threaten me with. Ian couldn’t hurt me more than he already had if he made it his life’s goal to try. Seeing his dead body had ripped my heart out. Weeks later, I was still trying to put myself back together. But these texts weren’t from Ian. Serious charges have been filed against the Council because of you, read the first one from Xun Guan, my oldest friend and a fellow Law Guardian. Come in at once. The next one was from Felix, another Law Guardian. You must appear before the Council immediately to answer charges involving you. What? I scrolled to the next one from Thonos, the council’s official executioner. Your presence is required. The man who claims to be your husband has refused to leave until the charges he’s brought against the Council regarding you have been addressed. That scared Silver so much, he flew up and hit the ceiling. I was too shocked to comfort him. I scrolled the remaining messages, their pertinent parts burning into my brain. “You arrogant, reckless maniac!” I raged, hurling my mobile across the room. It shattered and I cursed myself next. Now, I had to use someone else’s phone to call and beg the Council not to kill Ian before he did something meriting a death sentence, if he hadn’t already. Ian’s partial text flashed across my mind. So much for thinking he had nothing to threaten me with! But how could I have guessed that he’d sue the highest ruling court of vampires? Here I was, running all over the world fulfilling the vow I’d made in order to bring Ian back from the dead, and he was daring the Grim Reaper to come back for seconds! Now, I had to go to Ian, pretend not to care about him while I talked the council out of whatever harsh retribution they were planning, then abandon him all over again. It would hurt less to tear my guts out and stomp on them. But I had no choice. I couldn’t leave Ian at the Council’s mercy. I also couldn’t ignore a direct summons from the Council. If I did, I might as well resign as Law Guardian on the spot. I ground my teeth until my jaw crunched. Ian wanted a meeting, probably to have me formally renounce our marriage so there’d be no doubt in anyone’s mind that he was a free man? Fine. He’d get his meeting, and I hoped I could convince the Council to let him live long enough to regret it.